The elusive ‘Brian’ has no connection to the owner of the property nor was he sanctioned to collect rent, High Court hears. A HIGH COURT judge wants the garda fraud squad to investigate claims 13 families who must leave their homes within a week were paying rent to an unknown third-party called Brian. Justice Paul Gilligan directed that the matter be referred to the gardaí after being informed that despite taking up to €200 a week in rent from the families, ‘Brian’ does not represent the owner nor the bank appointed receiver over the property they currently reside at. The judge said the matter should be investigated because he fears the families, which include 12 young children, living in eight units at 16 Annesley Bridge Road, in Fairview, Dublin 3 are being “taken advantage of”. The judge made the direction after he reaffirmed orders sought by the receiver Simon Coyle requiring the families to give up vacant possession of the property. The families must leave by next Wednesday. Two of the property’s residents, who the court heard come from Romania, said they have nowhere else to go. 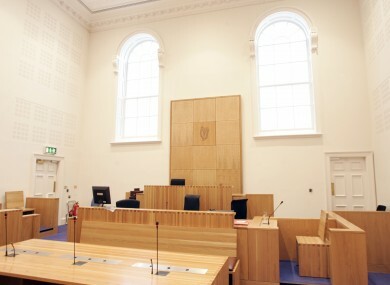 The court heard Coyle, an insolvency practitioner, was appointed receiver over the property by Bank of Ireland in January 2015, but has been unable to get possession of the premises. BOI appointed the receiver over a debt of more than €900,000 it claims it is owed by the property’s owner John Farrelly otherwise known as John O’Farrelly of Attracta Road, Cabra, Dublin 7. Last November, Coyle secured a High Court injunction preventing Farrelly and all those occupying the premises from interfering with, trespassing on, dealing with or taking possession of the property. The receiver, represented by Declan Wade, claimed those orders were not complied with. As a result of that alleged breach of the High Court’s orders, the receiver returned to court seeking orders for the attachment and committal of Farrelly and any other persons currently living there. When matter came before the High Court on Wednesday, Justice Gilligan said that the matter was “very serious”. Representing himself Farrelly denied he had breached the court orders. Arising out of the contempt of court action, he said he went to the premises last week and told those living there that they had to leave. Farrelly added he had nothing to do with the property since the receiver’s appointment. Two men Daniel Stoinan and Dumitru Vasile told the court they are among the 13 families living at the property. They asked the court if they could be allowed remain in the units for a while longer. In reply to the Judge they said they were paying €180 to €200 per week in rent for the units to the man called “Brian”. They were not certain what Brian’s surname is. They did not get receipts for their payments which were made in cash. Wade said this man Brian did not act for his client and since his appointed Coyle “never got any rent” from people living at the property. Counsel said that there had been a “lot of ducks and drakes” being played in relation to the property. In reply to the judge, Farrelly said the person called Brian was not collecting rent for him. If they were not paying rent to either the receiver or the owner, they were trespassing. The judge then agreed to give the residents a week to leave the property by next Wednesday. He adjourned the matter for a week. Outside of court, Stoinan said the people living at the units had nowhere else to go. He said they had been living there form periods up to two years. They had also paid deposits of €1000 to Brian, he said. “We just don’t know what we can do or where we can go. Some of the people living there are working and some have children at school,” said Stoinan who said he has been living in Ireland for ten years. Email “Judge orders probe as families claim they were paying rent to random man called Brian”. Feedback on “Judge orders probe as families claim they were paying rent to random man called Brian”.